Redring Xpelair Group (RXG) has appointed Steve Holton as strategic marketing director. He will be responsible for developing and implementing the marketing strategies that will deliver long-term growth to RXG's four leading brands - Xpelair, Redring, Galaxy and Creda. He will also join forces again with the company's recently appointed commercial director - Mark Quigley. They previously worked together in the consumer white goods industry and are looking forward to using their complementary skills to accelerate the RXG brand on a national and global level. To achieve this, Mr Holton will be taking responsibility of the group's marketing team, allowing Mr Quigley to focus on all aspects of sales, both in the UK and through international expansion. 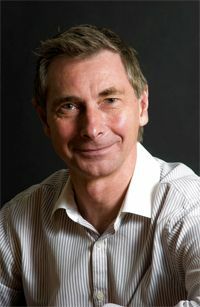 Prior to joining Redring Xpelair Group, Steve Holton held a number of director and senior management roles in market leading consumer goods companies, including Electrolux Major Appliances, Hoover Candy Group, Hotpoint and Bosch and Siemens Home Appliances. More recently, he founded Coleridge Consulting, a sales and marketing consultancy designed to help businesses maximise their competitive advantage and achieve their growth ambitions. In this capacity, he has been assisting with strategy development at Redring Xpelair Group since July 2013.